Instructional Videos on Music Theory and Piano Chords in Hip Hop and R&B!!!! 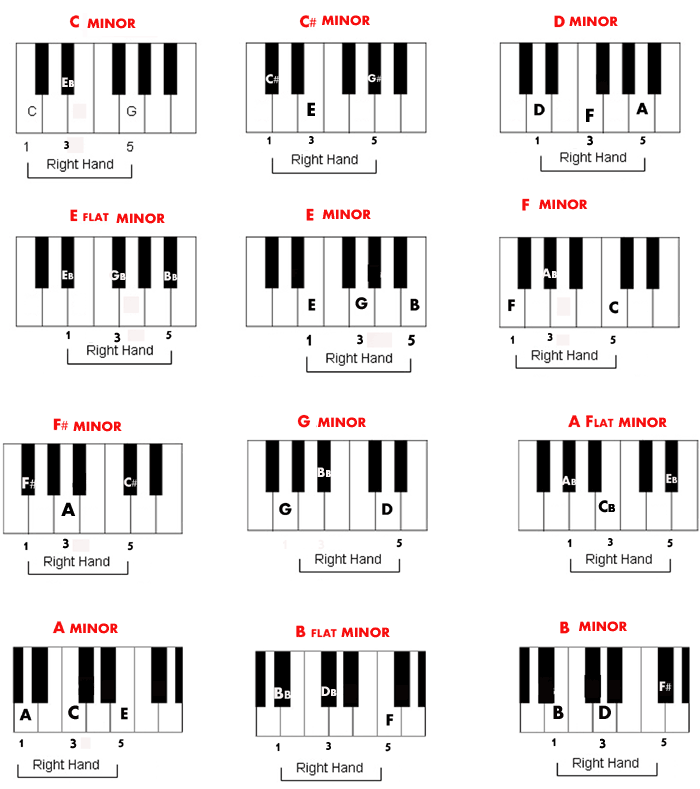 Listed below are the all the keys found in the major and minor scales for piano/keyboard. 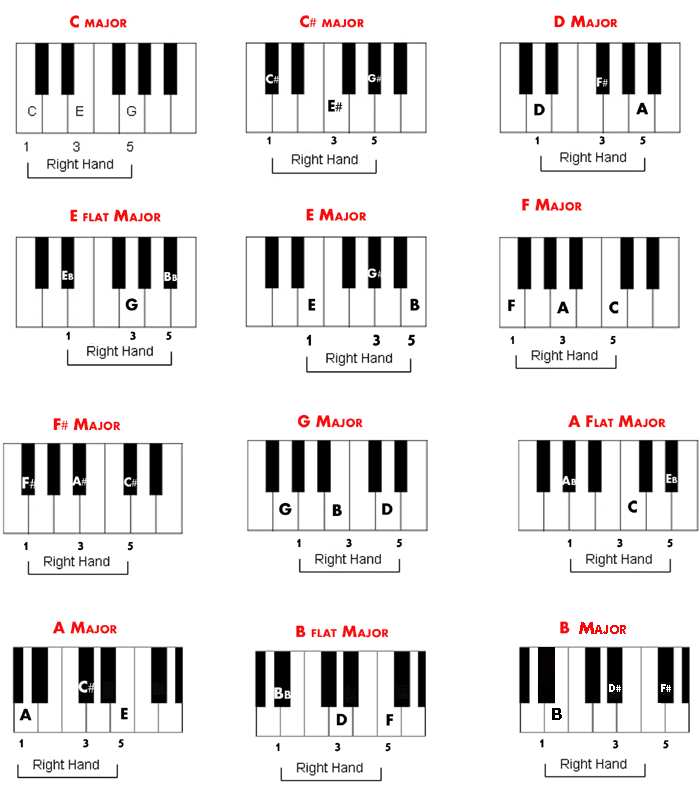 It is important for new pianists to become very familiar with playing in many of these scales in order to learn the language of music. Practice 1 major scale and 1 minor scale per week until you can play all of the notes comfortably and at your own pace, then move on to the next. Download and print out these charts for future reference!!! 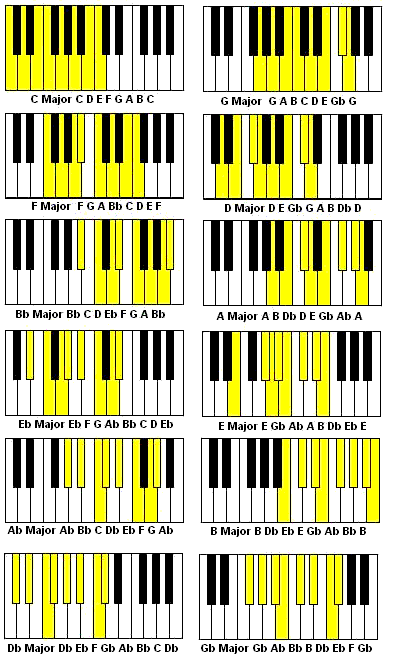 All 12 Keys of the Major Scale!!!! 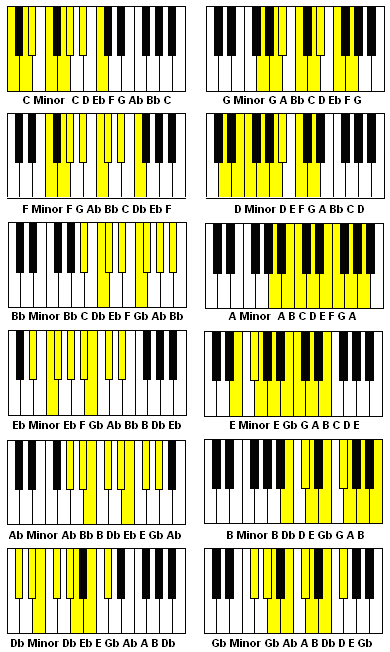 All 12 Keys of the Minor Scale!!!! Download This Chart Right Now!!!! Three note patterns known as "triads" can be found in any major or minor scale. The examples listed below illustrate many common triad configurations. In concert with the scale exercises from above, get in a habit of practicing triads within a particular scale. Download and print these charts for future reference!! !